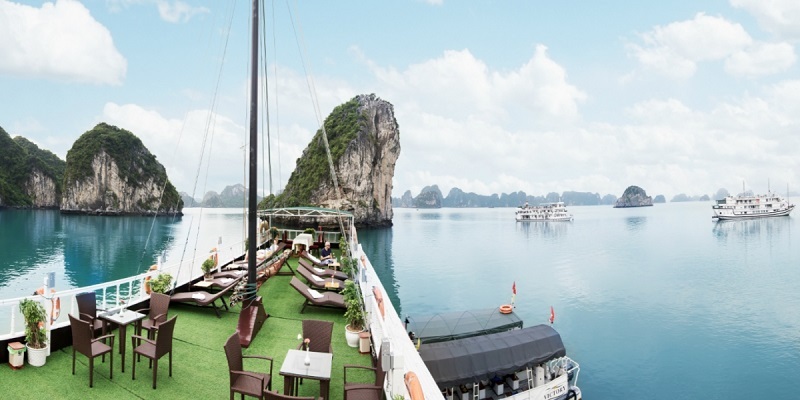 Explore Halong Bay in this 3-day cruise. A packed itinerary offers the best from your Halong Bay stay or you could of course just sit back, relax and enjoy the stunning scenery. Our activities include a full day kayaking or relaxing at the beach, cave visits, tai chi and a cooking class. We also offer great dining throughout your stay. Day 1. Our drivers will pick you up at your hotel in Hanoi Old Quarter from 7:30 am to 8:00 am. At 12:00 pm, you will check in to your room after receiving a warm welcome and a briefing by cruise staff. In the afternoon, you will discover the beauty of Bai Tu Long Bay by kayaking, it is time for relaxing on the beach or swimming in the lukewarm water. The time for dinner starts at around 7:00 pm then it is your free time. The squid fishing is available upon request. Day 2. 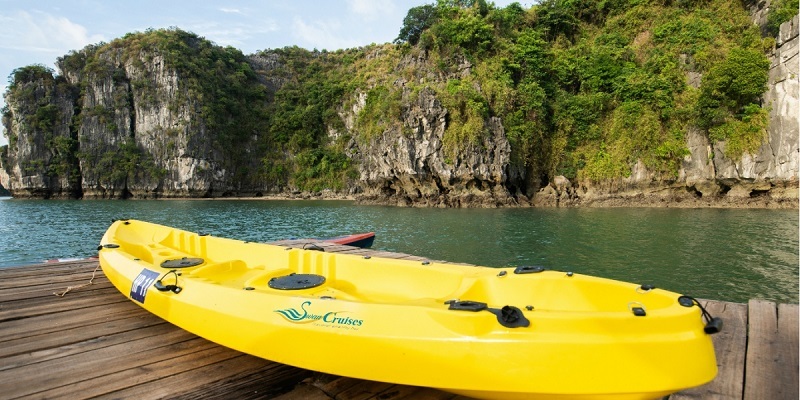 After having the breakfast in the slow pace on the second day of your trip, you will be guided to a further area for kayaking and discover the magical beauty of the bay, visit Thien Canh Son cave and relax on the beach. You will spend most of your time outdoors, and the BBQ lunch will be served on a private beach. 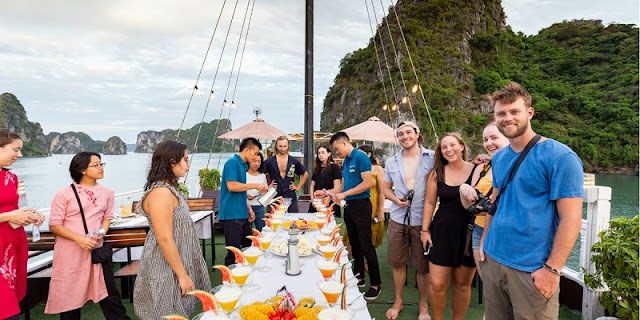 In the afternoon, you will be back to the boat, enjoy cruising and have a dinner onboard. Day 3. After the breakfast, you will to join in our traditional cooking demonstration. The last meal on board serves at 11:00 AM, before having lunch, you should pack your luggage and get ready for checking out before taking a traditional cooking demonstration. 12.00: Disembark in Hon Gai pier and farewell Halong Bay then returns to Hanoi. At 5:00 PM, you will arrive in Hanoi, and we drop you back to your hotel in Hanoi Old Quarter. What to know and do in Hoan Kiem lake, Hanoi? Sapa Trip - An unforgettable experience!